Content licensed under the Creative Commons Attribution-NonCommercial 4.0 International License. 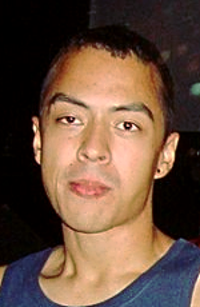 I am Bruno P. Kinoshita, born in 84 in Sao Paulo city, Sao Paulo state, Brazil. And I am a typical Paulistano, but now based in the Auckland CBD, New Zealand. Working with NIWA on Cylc, an Open Source cyclic workflow meta-scheduler written in Python, and used by many countries to drive their NWP (numeric weather prediction) forecast. Also an Apache Software Foundation member, and involved with Commons, Jena, OpenNLP, and other Open Source projects. Feel free to get in touch via Twitter or GitHub . Refer to my CV for further information. My current computer is a Lenovo Thinkpad T530, i7-3720QM (8 threads/4 cores/6 MB cache), 16 GB 1600 MHz, 128 GB SSD disk + 500 GB 5200 RPM magnetic disk. My operating system is a Linux Ubuntu 18.04.2 LTS with Xubuntu packages installed, some IDE’s for different programming languages, some VM’s and containers, as well as illustration tools. Before that I had a Dell Inspiron N5110, i5-2430M (4 threads/2 cores/3MB cache), 6 GB 1333 MHz, 250 GB SSD disk + 500 GB 5200 RPM. Also using Ubuntu, but 14.04.1 LTS with Xubuntu.